Why does the mysterious teacher from Nazareth still call and compel followers after 2,000 years? - Publisher No figure in history has received more attention, and been less understood, than Jesus of Nazareth. Much of what has been written recently portrays Jesus as a vaguely kind and friendly person whose message sometimes pleases but never challenges believers. People might even be tempted to ask "Why all the fuss? What here is worth devoting my life to?" 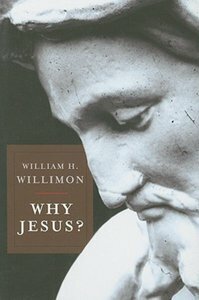 Very little about that Jesus is worth it, says Will Willimon. Yet there is another Jesus, the mysterious preacher from Nazareth who continues to invite men and women to claim the true meaning of their lives by giving their lives away in service to God and others. This Jesus continues to fascinate and compel us, in spite of all the attempts to domesticate his message and put distance between us and the call to follow. In his radical teachings, his self-sacrificial death, and his liberating life beyond death, this Jesus teaches and shows us the true meaning and purpose of our own lives. No figure in history has received more attention, and been less understood, than Jesus of Nazareth. Much of what has been written recently portrays Jesus as a vaguely kind and friendly person whose message sometimes pleases but never challenges believers. People might even be tempted to ask "Why all the fuss? What here is worth devoting my life to?" William H. Willimon is Presiding Bishop of the Birmingham Area of The United Methodist Church. Prior to his current position he served for twenty years as Professor of Christian Ministry and Dean of Duke University Chapel. He is the author of fifty books and over a million copies of his books have been sold including Sighing for Eden: Sin, Evil, and the Christian Faith, Thank God It's Friday, Conversations with Barth on Preaching, Proclamation and Theology, Sinning Like a Christian, Pastor: The Theology and Practice of Ordained Ministry and Proclamation And Theology: Horizons in Theology Series (Horizons in Theology)His articles have appeared in many publications including The Christian Ministry, Quarterly Review, Liturgy, Worship, and Christianity Today. His Pulpit Resource is used each week by over eight thousand pastors in the U.S.A., Canada, and Australia. He was selected in a Baylor University survey as one of the "Twelve Most Effective Preachers in the English-Speaking World."